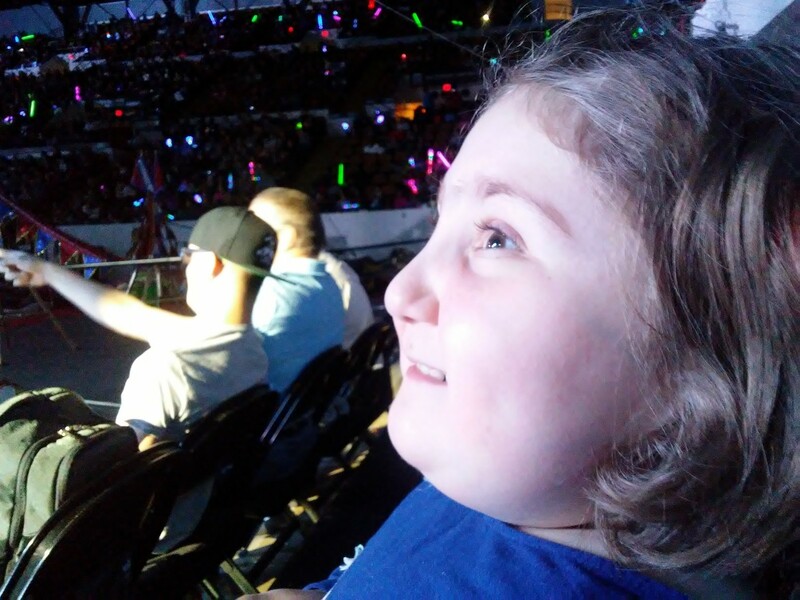 We got tickets to the circus from the Variety Children’s Charity, so Namine and I went this afternoon. We left an hour before the circus started, but even that was not enough. After finding a place to park and getting our tickets, we got seated a half hour late. But Paul, you say. I thought you said you already had tickets! And right you are, my good fellow. But the tickets we got from Variety were temporary, and had to be exchanged for the actual seating tickets at the box office. Funny story about getting our tickets. The lady behind the window told me that I could get regular, plain ol’ general admission seating for free, but if I wanted guaranteed handicap accessible seats, I had to “upgrade” (sales-speak for extortion). I refused, mainly because I was quite livid at the idea of people being given a shakedown simply because of being in a wheelchair. So thank you, kind stranger, for caring even just a little bit about someone who you didn’t know, just so they could enjoy the circus. Like I said, we were about a half hour late to actually watching the circus. We came in just at the end of the tiger tamer (no lions here that we know of), but that’s okay. Namine was understanding and never impatient all the while, and she was more excited than words could express to be there. Last time, Namine said her favorite thing was the tigers (and she was very happy that we got to see them, if merely even a little). This time around, however, she said her favorite thing was the acrobats. We were seating extremely close to one of the three rings (it was a three ring circus, after all), and she had a literal front-seat view. 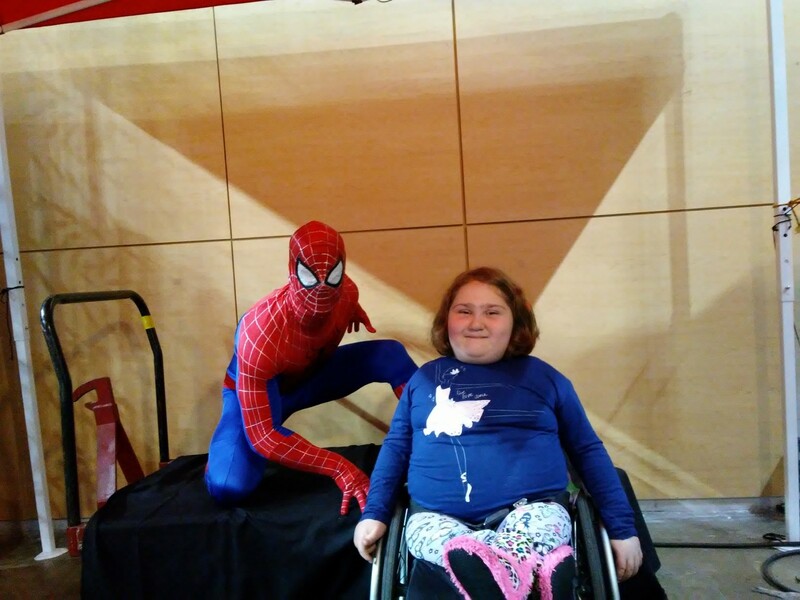 Her favorite acrobat was, specifically, Spider-Man. He climbed ropes “just like in the movies” (Namine’s words), and even walked on the ceiling, upside-down. Namine was (and is) convinced that he was the real deal, removing all doubt that Spider-Man is, in fact, real. That she got to have her picture taken with him made it even better. Namine with her favorite (okay, second favorite) superhero. And of course, at the very end, they shot a man out of a cannon.